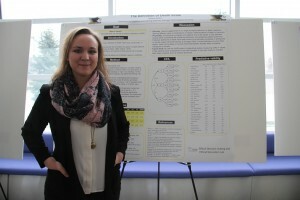 Classes meet 9 a.m. to 4 p.m. in the Great Lake’s Research Center. Cost: $120 per student. Up to 20 students per class. Register soon! Grade 1-3 Engineering in Our World! Learning about the engineering design process, each day of camp will present a different challenge to solve: designing bridges, improving play dough and designing walls. 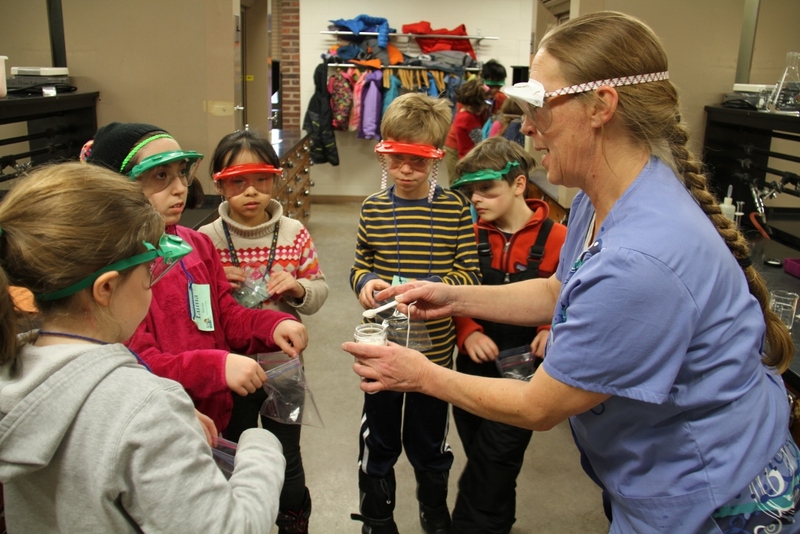 Following the Engineering is Elementary curricula for grades 1-3, campers will explore chemical engineering, materials engineering and civil engineering with visits from real engineers to the class. 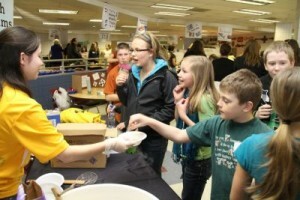 Grade 4-6 A Taste of Tech! 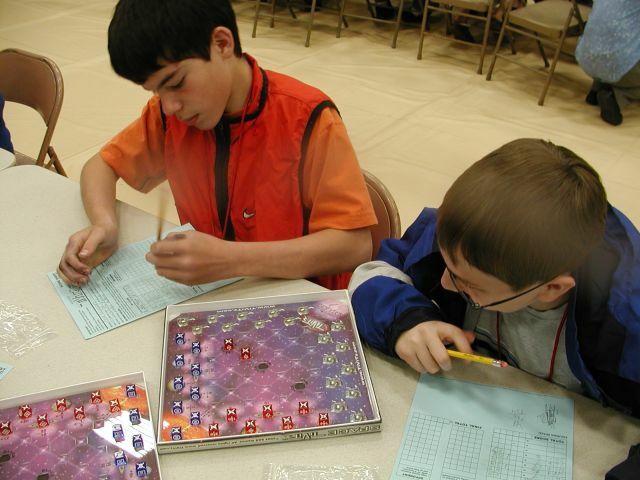 Kids will explore a variety of labs and do some cool engineering activities along the way! Have fun with trains with transportation engineers. Instructors: Joan Chadde, Chris Hohnholt, along with Michigan Tech faculty and students. Peace Corps Information Session March 24 by Kari Henquinet, director, Michigan Tech PCMI Program Peace Corps volunteers are making a difference all over the world in education, health and the environment. Stop by this information session to learn more about the benefits of service and how you can live, work and learn overseas. For more information, contact Brett Heimann at 312-353-8680 or bheimann@peacecorps.gov. Education program director and director of the Center for Science and Environmental Education, Joan Chadde, will present “How (and Why) to Hook Students Outside the Classroom,” on Friday, March 20, at 4 p.m. in Dow 642. For more information, visit the Biological Sciences website. This course emphasizes the impact of Earth system processes on societies, and human impacts on local, regional, and global Earth processes. The course will emphasize the integration of field-based activities as a means to insure deep student learning. 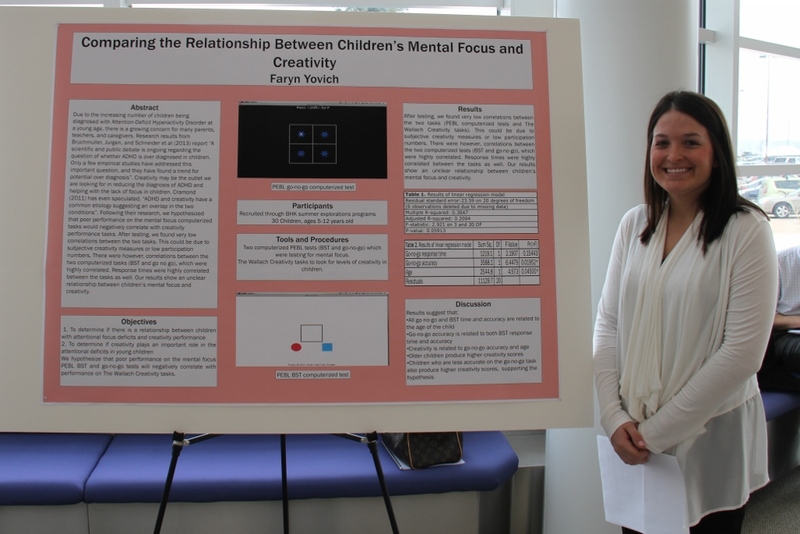 Learn more at Teacher Professional Development – Current Institutes. For more information, contact Certification Officer Judy A Hilss. 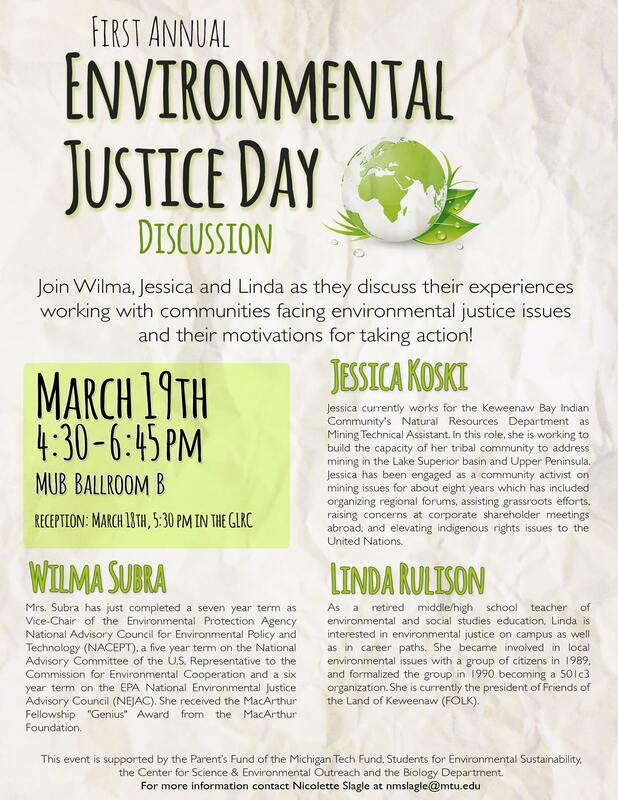 Please come join Wilma Subra and Jessica Koski (third speaker TBA) for Michigan Tech’s first ever Environmental Justice Day! The main event will be held March 19th, 4:30-6:45 pm in the MUB Ballroom B. There will also be a reception in the GLRC on March 18th at 5:30 pm, and Wilma will also be available earlier in the day for other meet and greets. 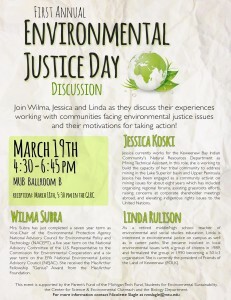 At the panel, we will be discussing what environmental justice is, how that impacts career decisions, and ethics in science. This event is supported by the Parent’s Fund of the Michigan Tech Fund, Students for Environmental Sustainability, the Center for Science & Environmental Outreach and the Biology Department. Read more at Student Organizations News Briefs. Assistant Prof. Myounghoon “Philart” Jeon (CLS/CS) has two new journal articles in press, “The effects of social interactions with in-vehicle agents on a driver’s angry level, driving performance, situation awareness, and perceived workload” in Applied Ergonomics and “Auditory user interface design: Practical evaluation methods and design process case studies” in The International Journal of Design in Society. Shane Mueller and Brandon Perelman (CLS) have just published a paper in Behavior Research Methods titled “An optimization approach for mapping and measuring the divergence and correspondence between paths“. 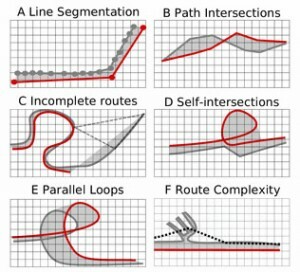 The paper describes methods for assessing similarity between spatial path data. The 15th Annual Western UP Science Fair and STEM Festival is for students in grades 4-8 from all schools in the 5 western counties of the UP. About 400 students (and their families) will attend. We will hold the Science & Engineering Festival in the Commons Area of the MUB, to give the young scientists a fun time while they are waiting to be judged. The Festival will have more than 20 different stations set up by student organizations, departments, and agencies.